It's 11:10 in Zenica, Bosnia and Herzegovina right now. Zenica: Kameniti Most, 0 miles away. Zenica: Mokušnice, 0 miles away. 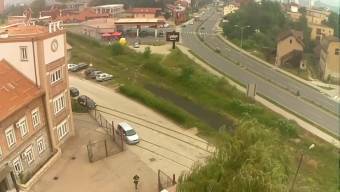 Zenica: King Tvrtka I Bulevar, 0 miles away. Sarajevo: Skiing Area Jahorina, 34.7 miles away. Sarajevo: HD City Panorama, 34.7 miles away. Banja Luka: Trg Krajine, 53.2 miles away. Brela: Livestream Marina, 75.5 miles away. Brela: Kamen Brela (Brela Stone), 75.5 miles away.